(a) Advising CCRM Australia Council on contemporary issues impacting on research and clinical practice landscapes, future trends and other key scientific issues relating to regenerative medicine. (b) Representing the needs and aspirations of both academic and clinical research communities, whose focus is to progress Australia’s regenerative medicine sector, its scientific discoveries and clinical applications. (c) Assisting in championing CCRM Australia initiatives as key opinion leaders within their fields. (e) Nominating a Board representative to the global CCRM Scientific Advisory Board to provide an Australian voice to international deliberations. Dr Anna Waterhouse is an ARC Discovery Early Career Researcher and Group Leader at the University of Sydney and the Heart Research Institute respectively. Her diverse expertise has resulted in the development of innovative materials and methodologies in the fields of bioengineering and cardiovascular research. Merging engineering approaches with physical, chemical and biological modifications; Dr Waterhouse’s research aims to understand the complex interactions between medical devices and patients’ blood, proteins and cells and develop technologies to generate improved and innovative medical devices. Her most recent research focuses on medical devices such as artificial hearts, stents and bypass machines. 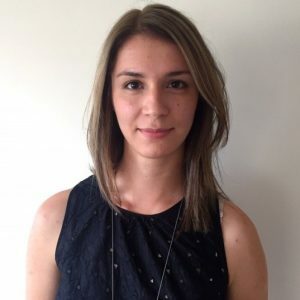 Dr Waterhouse completed her PhD at the University of Sydney then moved onto the Wyss Institute for Biologically Inspired Engineering as a research scientist and postdoctoral fellow. Dr Bernie Tuch works amongst cutting edge research as a translation endocrinologist in private practice. As the Director of the Australian Foundation for Diabetes Research (AFDR), he is works apart of a foundation which owns the IP for a bioengineered device that allows for the delivery of insulin-producing cells that work as a therapy for type I diabetes. Dr Tuch is the Non-Executive Director of Living Cell Technologies Ltd which is currently conducting clinical trials which encapsulate pig brain cells as a therapy for Parkinson’s disease. Additionally, Dr Tuch also directs the New South Wales Stem Cell Network. With over 500 members, the NSW stem cell network runs workups and educational events regarding stem cells. 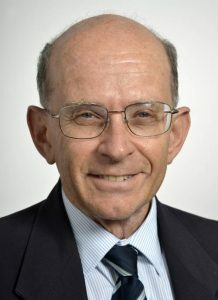 Dr Bernie Tuch’s contributions have been recognised by both the University of Sydney and Monash University, at which he is a professor of Medicine. Professor Caroline Gargett BApplSci, MApplSci, PhD (Non-Executive Director). Professor Gargett is currently Deputy Director (Women’s Health) at the Ritchie Centre and is also a National Health & Medical Research Council (NHMRC) Senior Research Fellow. Professor Gargett is an active researcher focussed on characterising adult stem cells she discovered in the uterine lining and investigating their roles in women’s reproductive health problems. She leads a multi-institutional, interdisciplinary team developing a cell based therapy for pelvic organ prolapse using endometrial mesenchymal stem cells and novel biomaterials. 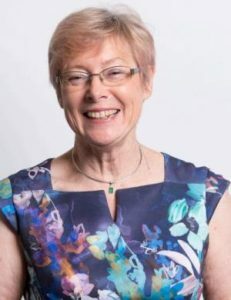 Professor Gargett has served as President of the Australasian Society for Stem Cell Research (2013-2014) and Secretary for the Society for Reproductive Biology (2005-2008). She is currently a member of the Department of Health and Human Services Victorian Medical Research Future Fund Regenerative Medicine Grand Challenge Working Group. She is/has been on the Editorial Boards for Scientific Reports (since 2016), Fertility and Sterility (2011-2014), Biology of Reproduction (since 2013), and Reproductive Sciences (since 2009) and is an Associate Editor of Reproductive Sciences (since 2014) and Human Reproduction (2005-2008). Distinguished Professor Dietmar W. Hutmacher is a biomedical engineer, educator, inventor and creator of new intellectual property (IP) opportunities. Directing the centre of Regenerative Medicine and the ARC industrial Transformation Training Centre in Additive Biomanufacturing (ABM), Dietmar boasts strong leadership position and industry experience. In 2013, Dietmar received the highly prestigious Hans Fischer Senior Fellowship from the Technical University in Munich. In 2017, at QUT he received Vice Chancellor’s award for Excellence in outstanding research, educational and scholarly contributions. The title Distinguished Professor and received the Highly prestigious Humboldt Award from the Humboldt Foundation. Over the last two decades his research has been featured many times in mainstream media formats including newspapers, radio and television. Dominic Wall has been directly involved in cell therapy manufacturing since the 1990’s and is currently the Chief Scientific Officer of Cell Therapies Pty Ltd. He is also the Operations Director of the cell therapy services at the Peter MacCallum Cancer Centre. After completing his undergraduate education in London, he completed a PhD at the University of Melbourne and became a fellow of the Faculty of Science (FFSc) from the Royal College of Pathologists of Australasia in 2010. He has administered various TGA cGMP licences on behalf of commercial sponsors working in immunotherapy and regenerative medicine, while having withstood over 20 TGA inspections. His team is currently involved in commercial process development and manufacturing with needle to needle control, as well as novel research in in-vivo cell therapy imaging using PET/SPECT and MRI and supporting complex cell therapy trials such as CAR-T cell immunotherapy. He is also responsible for Victoria’s largest standard of care cell transplant service for patients with cancer. He is the current chair of the Legal & Regulatory Subcommittee of the International Society for Cell Therapy and is the co-chair of the Global Regulatory Perspectives workshops at ISCT (and has been a regional vice-president for the region for 3 terms). He serves on numerous other committees such as the RCPA Cancer Services Advisory Committee and the Victorian Statewide Pathology Executive. Ernst Wolvetang is a Professor in stem cell biology at The University of Queensland. Heading the Stem Cell Engineering Group at the Australian Institute for Bioengineering and Nanotechnology (AIBN), Professor Wolvetang also co-directs the UQ Centre for stem cell ageing and regenerative engineering (UQ-stemCARE). He obtained his PhD from the University of Amsterdam. After investigating the role of chromosome 21 transcription factors in Down syndrome during his post-doctoral studies he joined the laboratory of Professor Martin Pera to pioneer human embryonic stem cell research. In 2009 He took up a group leader position at the Australian Institute for Bioengineering and Nanotechnology at the University of Queensland. His laboratory employs iPSC and organoids as in vitro disease models and genome editing to interrogate the underlying gene regulatory networks and epigenetic bases of monogenic and complex neurological diseases. He was awarded the 2014 LSQ regenerative medicine prize and was co-recipient of the 2016 Eureka Prize for international collaboration. He has authored over 110 publications attracting 12,384 citations. 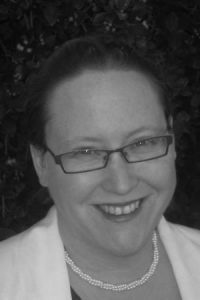 Frances Harding is a Cell Therapies Specialist/Project Lead at Cell Therapies Pty. Ltd (CTPL). Prior to commencing postgraduate study, she gained experience in biologics process development in the Australian and US pharmaceutical industries. Her postgraduate work explored methods to improve blood cell yield from differentiating embryonic stem cells, investigating strategies for scaled up ex-vivo manufacture of red blood cells. After PhD conferral, Frances’ interest in cell therapies expanded to include cell-biomaterials interactions, modulating the chemical and physical properties of materials to more closely mimic complex biological microenvironments. Frances was instrumental in fostering the collaborations with medical and basic research partners that form the CRC for Cell Therapy Manufacturing (CRC CTM), aimed at fast-tracking cell therapies to the clinic. In her current role at CTPL, she is responsible for the development and transfer of new cell therapies to clinical manufacture. Frances has published over 40 papers across the biomaterials and bioprocess engineering fields. She holds positions of Adjunct Fellow at the Future Industries Institute UniSA and Adjunct Senior Fellow at Monash Institute of Pharmaceutical Sciences. 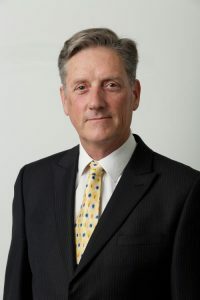 Professor Graham Jenkin holds a Personal Chair at Monash University and is the Scientific Head of the Cell Therapy and Regenerative Medicine Clinical Translation Platform within the new Translation Research Facility of the Monash Health Translation Precinct. Professor Jenkin’s research aims to improve the health and wellbeing of babies and children. This is achieved through studies in basic fetal physiology, mechanisms of injury and the development of novel treatment strategies through to clinical trials (including the use of cord blood derived stem cells in the treatment of cerebral palsy and haematological malignancies). Over his career, Professor Jenkin has published over 55 peer-reviewed articles­ with 2,044 citations and been awarded more than $15M in research funding since 2013. He has supervised 28 Higher Degree students to completion. Professor Jenkin has worked closely with regenerative medicine-based companies including Mesoblast (adult stem cells) and Cell Care Australia and Cytomatrix (Now Nohla) on cord blood and pregnancy tissue characterization and storage for cell-based therapies. He leads a public sector Victorian Consortium for Cell-based Therapies (with more than 25 partners) to facilitate research and translation of rapidly evolving cell therapies from clinical trials to the clinic. 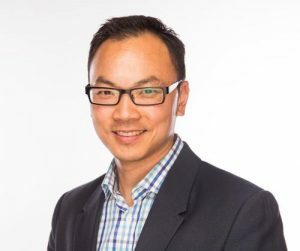 Associate Professor James Chong MBBS, FRACP, PhD is a practising clinical cardiologist at Westmead Hospital in Sydney and leads the Cardiac Regeneration Laboratory at the Westmead Institute for Medical Research/University of Sydney. The 2016 Metcalf Prize for Stem Cell Research. Dr Chong trained in cardiology at Westmead Hospital before completing a PhD at the Victor Chang Cardiac Research Institute under the mentorship of Professor Richard Harvey. This doctoral training in cardiac development and stem cell biology focused on a previously unidentified population of cardiac stem cells. With the support of a Fulbright fellowship and a NHMRC (National Health and Medical Research Council) biomedical training fellowship he undertook post-doctoral training at the University of Washington, Seattle, USA with Professor Charles Murry. During this period, he extended his interests in translational cardiac regeneration to include the use of pluripotent stem cells in small and large animal models of myocardial infarction. 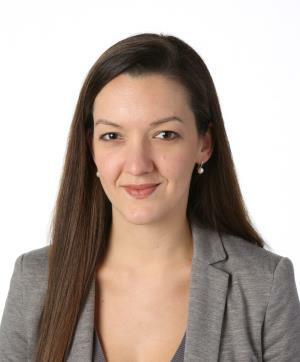 Dr Jelena Rnjak-Kovacina is a Senior Lecturer and Heart Foundation Future Leader Fellow researcher at the Graduate School of Biomedical Engineering, UNSW Sydney. Her research interests are at the interface of biology and engineering, focusing on the development of biomimetic biomaterials that direct cell interactions for enhanced vascularisation and treatment of cardiovascular disease. She completed her doctoral degree in Anthony Weiss’ lab at the University of Sydney, studying synthetic human elastin as a biomaterial for skin tissue engineering. Her postdoctoral research in David Kaplan’s group at Tufts University in Boston focused on novel biomaterials developed from silk fibroin to address a number of clinically unmet needs. Professor Rasko is an Australian pioneer in the application of adult stem cells and genetic therapy. 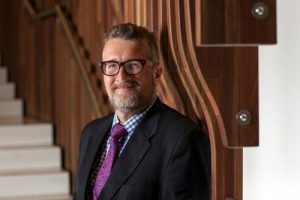 He directs the Department of Cell and Molecular Therapies at the Royal Prince Alfred Hospital and heads the Gene and Stem Cell Therapy Program at the Centenary Institute, University of Sydney. John Rasko is a clinical haematologist, pathologist and scientist with an international reputation in gene and stem cell therapy, experimental haematology and molecular biology. In over 150 publications he has contributed to the understanding of stem cells and haemopoiesis, gene transfer technologies, oncogenesis, human genetic diseases and non-coding RNAs. founding Fellow of the Australian Academy of Health and Medical Sciences. He is the recipient of national (RCPA, RACP, ASBMB) and international awards in recognition of his commitment to excellence in medical research, including appointment as an Officer of the Order of Australia. Dr Kirsten Herbert works as a Consultant Haematologist at the Victorian Comprehensive Cancer Centre (VCCC) and Cabrini Hospital. As a qualified physician and cancer specialist, Dr Herbert works in the clinical trials program as author, principal investigator and co-investigator on novel cancer treatment trials. She is the Chief Medical Officer of Cell Therapies P/L, the Cellular Therapy Biotech Company within the VCCC. Dr Herbert has an interest in patient advocacy, public education around cellular therapies and stem cell science. Graduating with honours from the University of Melbourne in 1998, Dr Herbert undertook training at St Vincent’s Hospital as a physician. She completed her PhD in Novel retinoids for Haematopoietic Stem Cell Transplantation in 2007. 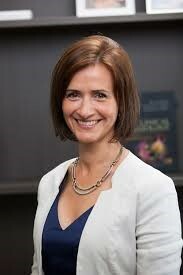 Atop of her work in research, Dr Herbert has also co-authored The Australian Stem Cell Handbook. She is a member of the American, Australian and European Societies of Haematology and Oncology and American Society for Bone Marrow Transplantation. Associate Professor Rebecca Lim is a stem cell researcher at The Hudson Institute of Medical Research. Transitioning from a solely academic world to that of commercialisation, Rebecca is a strong advocate for entrepreneurship, fuelled by her recent experiences within the industry. Having secured up to $5m in funding since 2010 and attracting investor attention at the recent BIO SPARK conference, Rebecca sees commercialisation as a fundamental launching pad to her career as an academic entrepreneur. 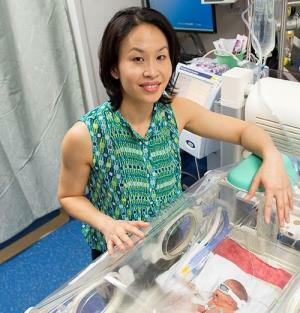 Rebecca Lim began her research career after graduating from The University of Western Australia with a PhD. Today, she holds the position of deputy head at the Ritchie Centre where she leads the Regenerative Medicine and Cellular Therapies Theme. There, she works with a dedicated team, understanding the regenerative potential of amniotic epithelial cells in repairing the damaged lungs of neonatal babies. Adjunct Associate Professor Rodney Dilley leads Basic Research in Otolaryngology at the Ear Science Institute Australia in Perth and is Deputy Director of the University of Western Australia’s Centre for Cell Therapy and Regenerative Medicine. After completing a PhD at University of Western Australia, he took postdoctoral research training at University of Washington in Seattle and then Baker Institute in Melbourne. 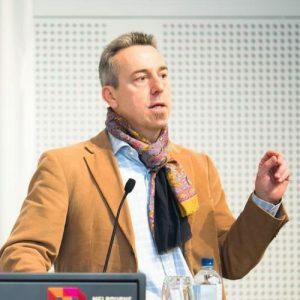 After several years as Senior Research Fellow at University of Melbourne, O’Brien Institute of Microsurgery and as Senior Scientist at the biotech startup Australian Tissue Engineering Centre, he returned to Perth in 2011. There he took up a position at the Ear Science Institute Australia and at The University of Western Australia’s Ear Sciences Centre. There he has developed a program on tissue engineering, regeneration and stem cell biology in Otolaryngology. Dr Dilley’s research has focused on regeneration, tissue engineering and translational applications for adult stem cells. This work has resulted in more than 160 publications, with 5000 citations recorded at an h index of 36. It has attracted funding from NHMRC, ARC and philanthropic organisations to a value of more than $25m. Research Committee of University of Notre Dame Medical School. Dr Dilley also delivers undergraduate classes in stem cell biology and tissue engineering and supervises postgraduate students through The University of Western Australia and Curtin University. 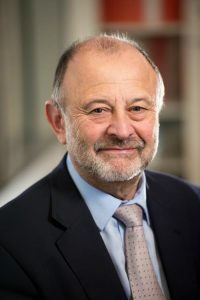 Silvio Tiziani played a key role in the establishment of CCRM Australia after securing funding from Monash University, MTP Connect, CSIRO and The Victorian Government. 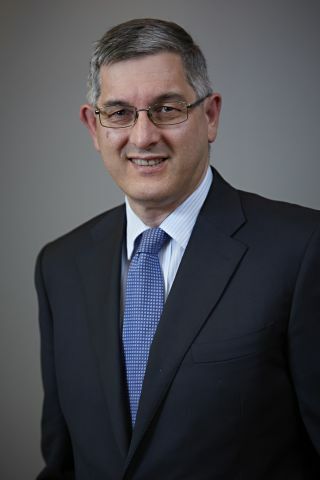 Silvio’s skills focus on the specialised role of leading the strategic alliance with the Centre of Commercialisation of Regenerative Medicine (CCRM) and being Director of ARMI’s external engagement, strategic planning and communications. Silvio’s extensive knowledge of the research landscape is well utilised with his networks within industry, international organisations and the state and federal government. Silvio has extensive experience in private and public organisations, with a focus on laboratory-based organisations in the academic, health and healthcare systems. 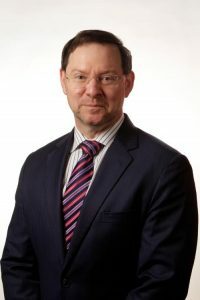 In addition to qualifications that include a Bachelor of Science from Swinburne University and a Masters of Business Administration from Monash University, Silvio is also a graduate of the Australian Institute of Company Directors (GAICD) and a Certified Professional with the Australia Human Resources Institute (CAHRI). Silvio has extensive experience in financial analysis and budget management, business development, strategic planning and corporate governance along with the interpersonal skills to lead staff. Silvio also chairs the Ausbiotech Regenerative Medicine Advisory Group, comprising leading representatives from Australian industry and academia to provide specialist advice to Ausbiotech, Australia’s member based biotechnology organisation that promotes the global growth of Australian biotechnology. Copyright © 2019 CCRM Australia.